Marianne was born in England but spent much of her childhood in Malaysia. 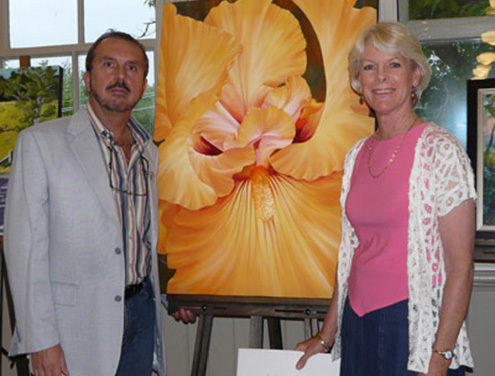 The stunning scenery and abundance of exotic animals and plants heightened her love of nature and keen interest in drawing and painting. 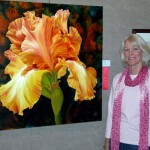 Her artwork was selling in local galleries and department stores while she was still a teenager. 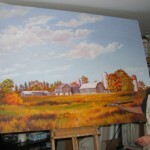 Marianne settled in Canada in 1980 and lives in the beautiful countryside near Toronto, Ontario. 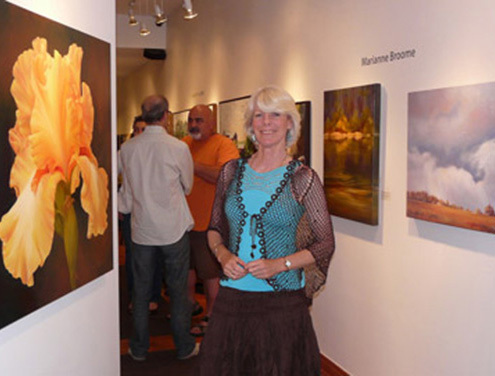 As a full time artist and a sought after art instructor Marianne travels extensively. She is never without her sketchbook and camera, always looking for new subject matter for her stunning paintings of landscapes, flowers and abstracts. 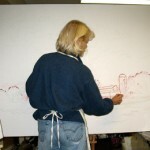 Marianne also enjoys taking on commissions of subject matter that she may not otherwise paint. Some of these have been for publishing purposes. 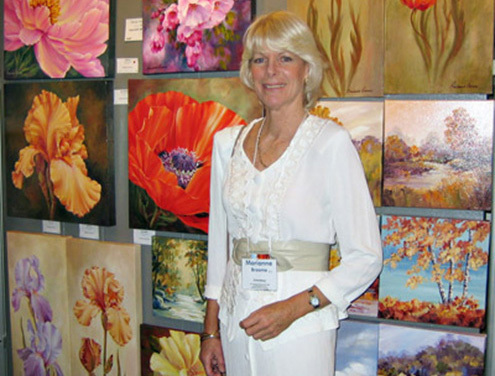 Marianne’s art education in England was furthered by studies at The Haliburton School of the Arts and she has taken courses and workshops with many respected artists. 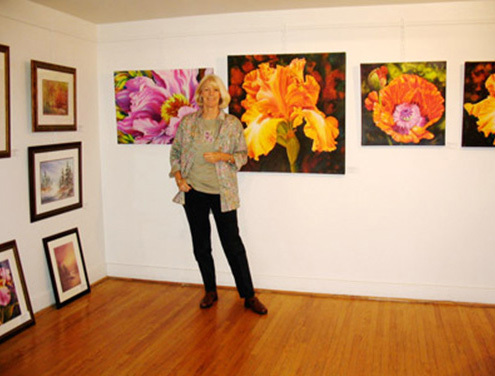 Marianne’s work has been exhibited in many juried exhibitions in which she has received numerous awards. 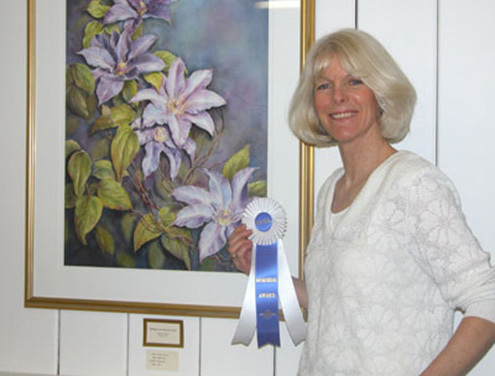 The most recent are three Best in Show awards, Best Watercolour in Show, The Franklin Carmichael Award, The Marianne Crone Award, 2nd prize in the COAA Virtual Juried Show, Juror’s Choice and two People’s Choice awards. 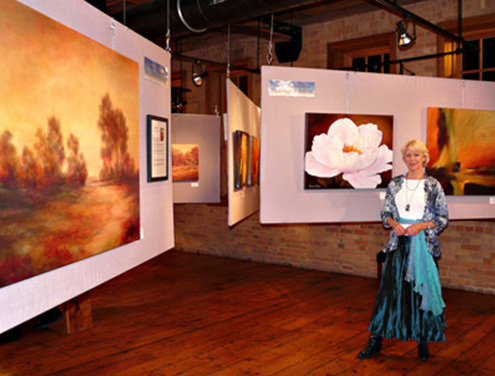 Her work can be found in private and corporate collections in Canada, U.S., England, Australia, South Africa and Malaysia. For me painting is a celebration of the endless beauty to be found in the natural world and an expression of my concern for its preservation. My hope is that my work will inspire in the viewer an appreciation of nature’s gifts and contribute to a greater collective environmental consciousness so that we may tread lightly on this earth of ours. The paint texture and rich colours of acrylics, and the translucency of watercolours both afford exciting ways to express the fragility of a flower, the ethereal nature of a landscape or the creative design of abstraction. With delicate washes or expressive brushwork, they lend themselves to the portrayal of the diverse moods of nature and my emotional response to the wonders around us. 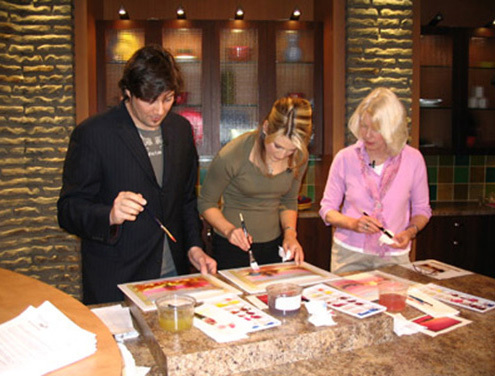 Marianne’s art education in England has been furthered by courses at the Haliburton School of the Arts. 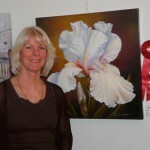 She believes that an artist can never stop learning and has attended numerous classes and workshops with artists such as Didi Gadjanski, Donnah Cameron, Margaret Roseman, Pauline Holancin, Kai Liis McInnes, Art Cunanan, Brian Atyeo, Mary Wood, Jake Mol, Ken McFarlane, Gordon MacKenzie, Gary Chapman, Jack Reid, David McEown, June Thomson, Linda Kemp, Stephen Yau, Don Cavin and Claudia Jean McCabe. Private and corporate collections in Canada, and private collections in the U.S.A., England, Australia and Malaysia. People’s Choice awards for “Iris Days”.